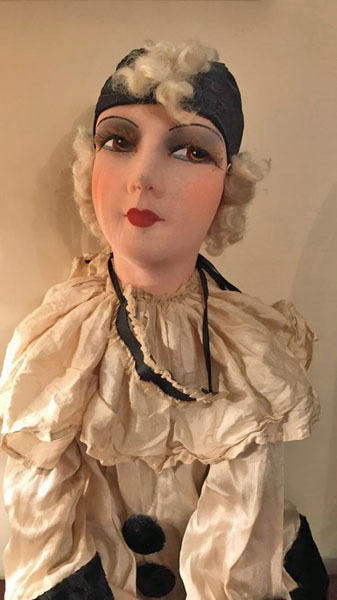 A stunning antique Pierrot doll! 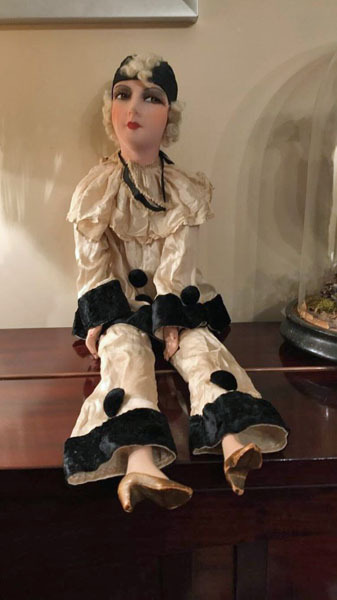 Authentic 1920's French boudoir Pierrot doll. 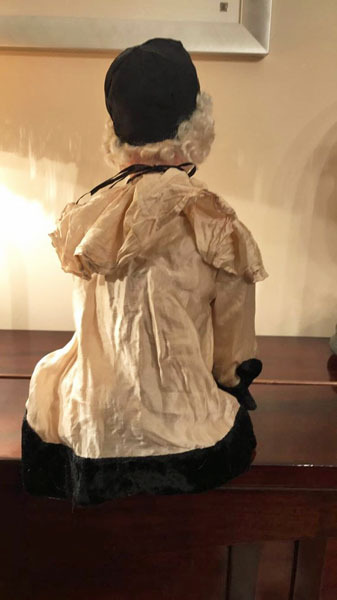 Silk covered face, masquerade eye coverlette, silk and velvet fabric and straw body with composition arms and legs. Original gold painted on shoes. 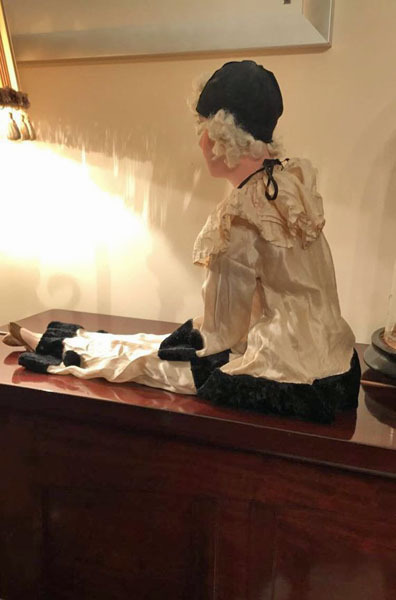 This doll has been taken care of... She is in great to excellent vintage condition especially considering age! Approx. 31" long. 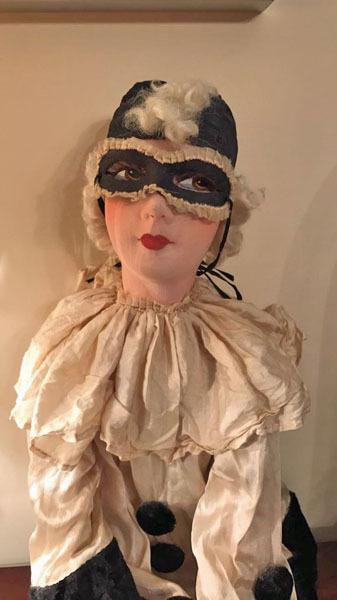 To USA address: FREE SHIPPING INCLUDES INSURANCE for this item. Available for Lay Away Plan. Please contact us for more information.